Epidavros is a very popular harbor, so in order to get a spot there, we had to be there around 14.00. From Vathi it should take approximately 2,5 hours to get there. We had a slow morning, and stopped in a nice bay close by Epidavros for a swim to cool down from the heat. The remains of an old house was supposed to be seen under the surface, but we could not find them. But at least all of us got a nice and long swim. 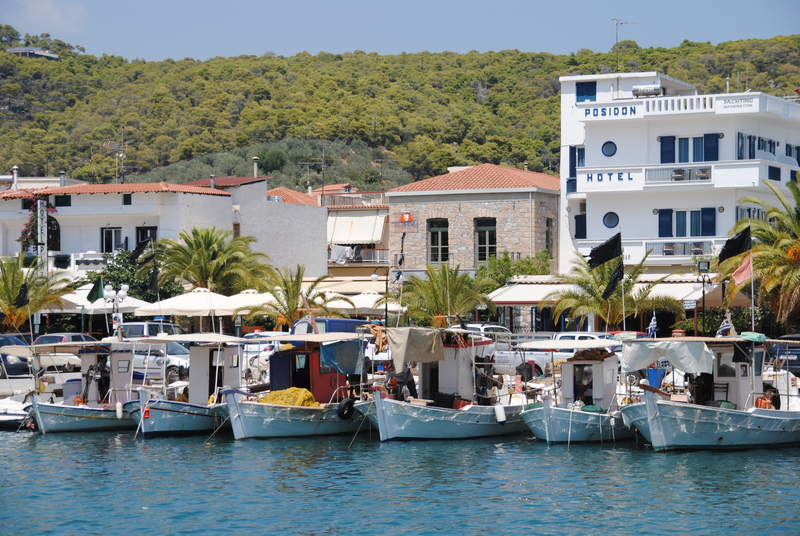 Arriving in the harbor of Epidavros, we got one of the few available spots. As we were at shore at lunchtime, we decided to make it easy and just buy some gyros. 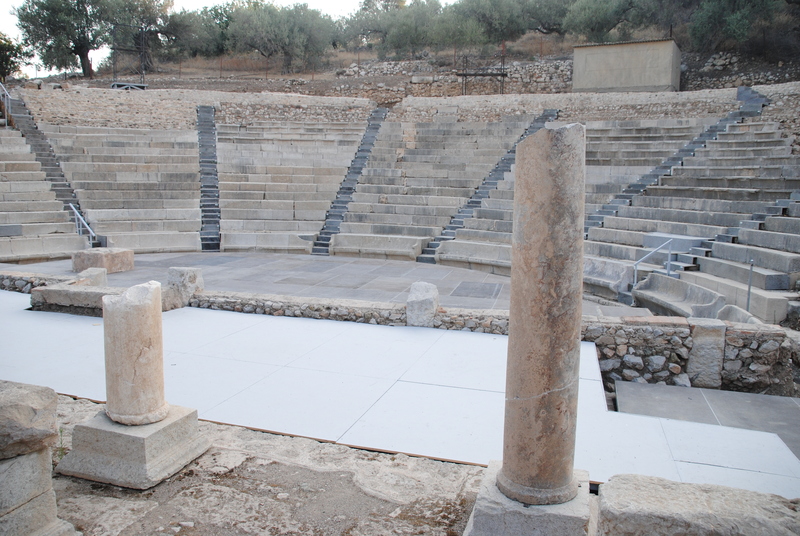 One of the great attractions nearby is the old Epidaurus Theater. It is about 30 min drive from the port, and it usually cost 40€ to have a taxi drive you and pick you up again. It is recommended to spend at least 1,5 hours there. It would have been great to see this enormous ancient theater, but the heat set us back, so we relaxed partly in the shadow at the beach, or out in the cooling water instead. 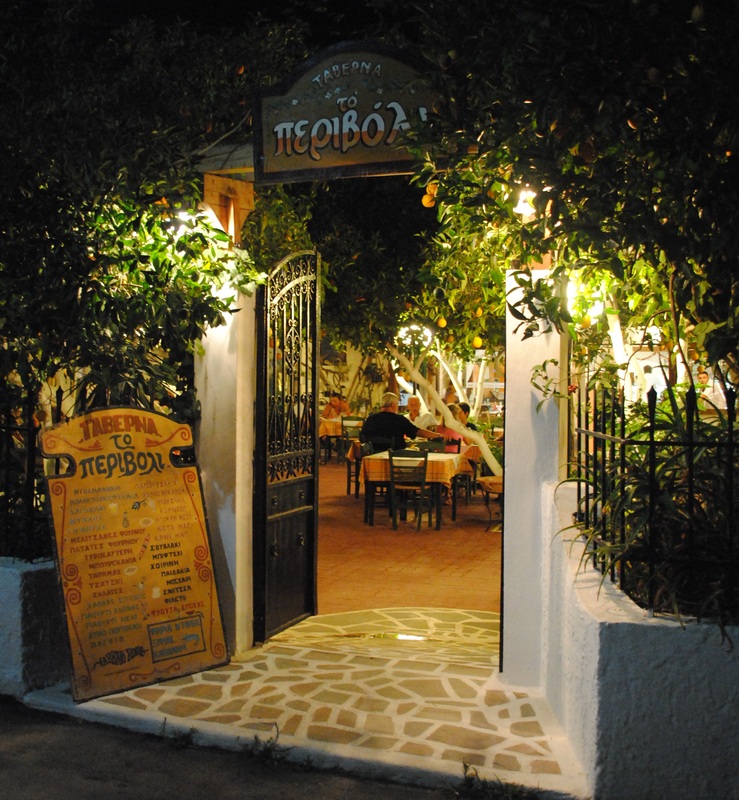 In the evening we had dinner at a great restaurant called To Perivoli, meaning under the oranges. It was a few minutes walk away from the harbor, situated in a beautiful back yard with orange trees (surprise, surprise…!) We could go to the kitchen and point out what we wanted to order, and chose some mixed grilled meat and seafood, and some chicken in lemon sauce. For starters we had Cheese Zaganaki (fried cheese) with honey and sesame seeds, and also some fried small fish. Everything was really tasty, and we certainly did not go to bed feeling hungry. 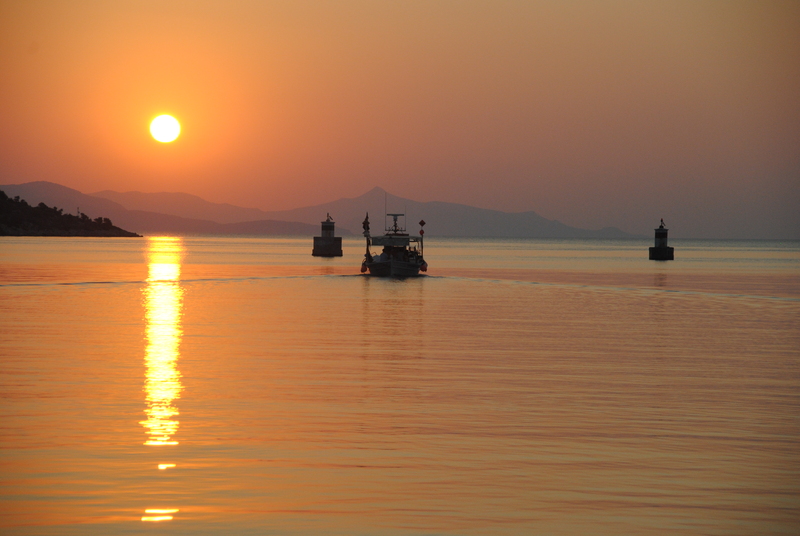 The next morning we woke up to a magnificent sunrise, accompanied by the calming sound of the small fishing boats going out for today’s catch. A few of us went for a walk, leading us to an old amphitheater (not to be mistaken for the big one) and further to the Church of Virgin Mary on the top of a hill. 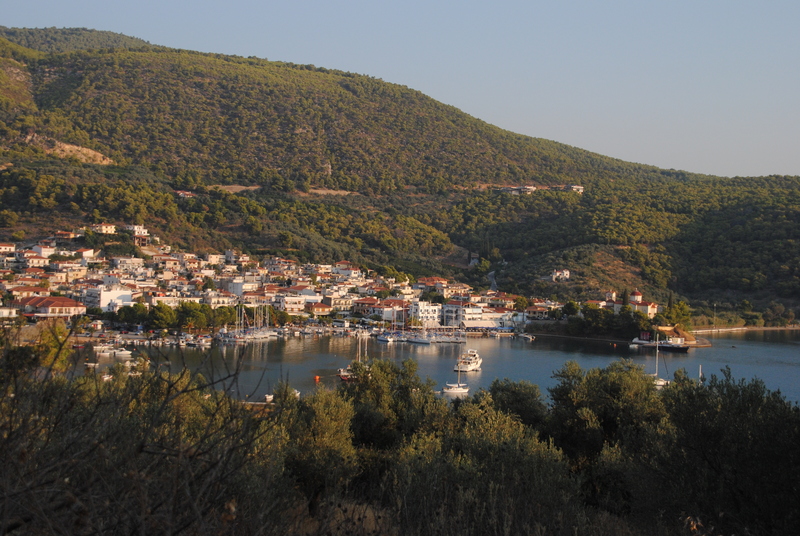 Overall Epidavros is a very pictorial harbor, with charming streets and squares, and some nice sights. I regret that we did not go to Epidaurus Theater, but if I am ever nearby again, I will definitely do that!